Have you picked up on the tone of your inner dialogue? I have. I used to have a dictator within, I remember it as having been a mix of Hitler, Mao, Stalin… And it was awful. Horrendous. Harsh. Evil. Mistrusting. Sadistic. Unrelenting and cruel. But yeah. I wrote used to, because this is no longer the tone of my inner dialogue. I no longer experience this inner dictatorship. A faint echo of it might show up from time to time, but in no way close to what it used to be like, being me. Today, my inner voice is gentle. Encouraging. Loving. Kind and appreciative. Playful even, and really curious. With a strong urge to experiment and discover, to expand, learn, evolve. So even if the echo of my inner dictator sometimes comes a-knocking, I greet it with a gentle curiosity, wondering what brought it here this time around. What the message might be, if there’s something to learn? I often ask coaching clients what the tone of their inner dialoge is, and all but one have replied that it’s generally holds a harsh tone. All but one, out of a hundred, at least. Strange isn’t it. We seem to live in a culture that tunes our inner tone into a harsh one. Why is that? And why not re-tune it? What’s the tone of your inner dialogue? 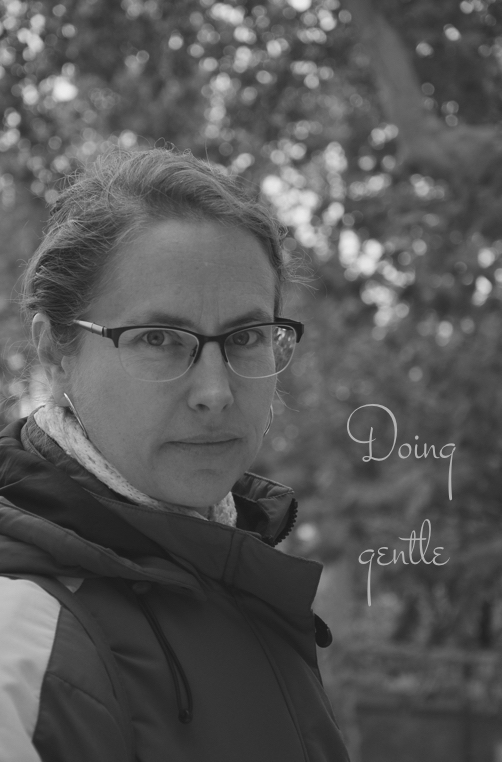 Welcome to my new website, where the underlying tone centers around being gentle to oneself. On Sundays I will be sharing thoughts on how I do gentle, and this is the third of those. I hope you enjoy it and if you do, please subscribe to updates so you won’t miss out on future posts in this series.